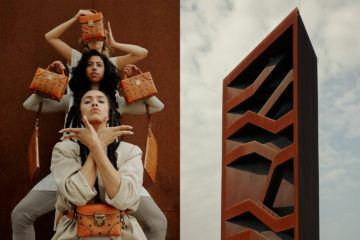 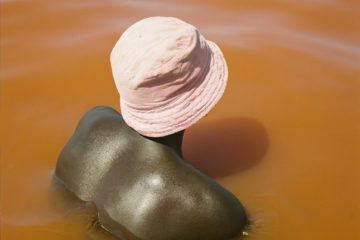 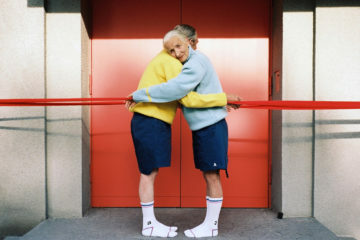 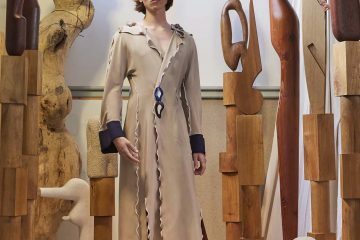 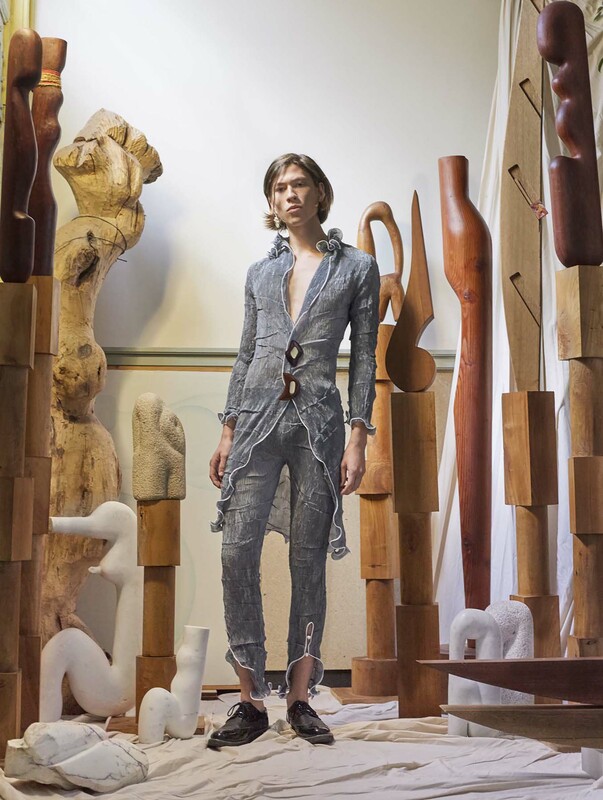 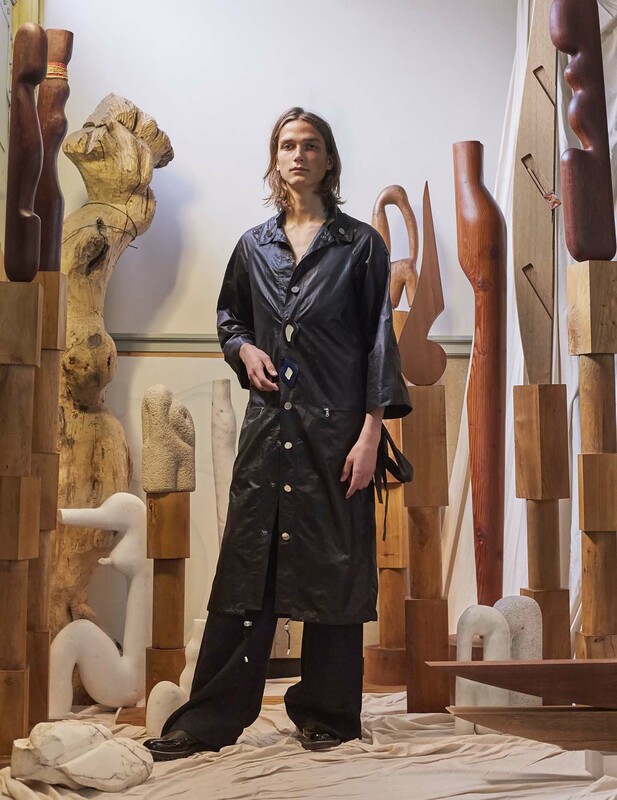 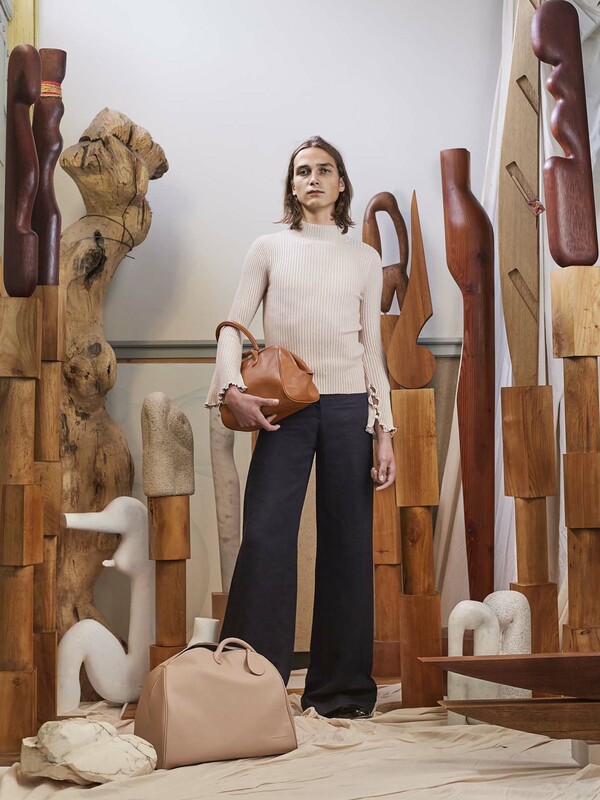 Since bursting onto the scene five years ago, Dutch fashion designer Peet Dullaert has continued to steer clear of passing trends, creating instead expertly tailored, gender-neutral pieces that have sustainability and ethical production at their heart. 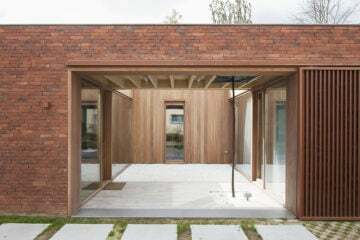 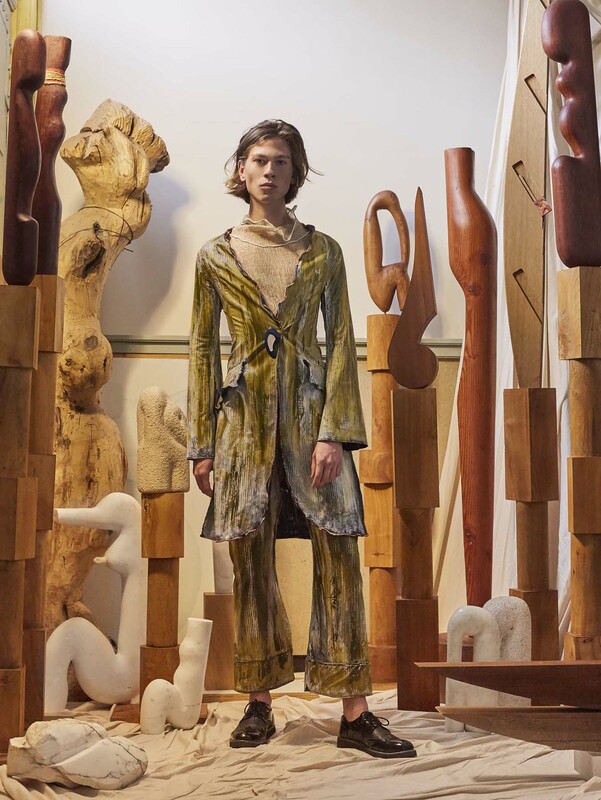 With a brand maxim that is “embracing all genders and bodies”, and “protecting our earth’s biosphere and supporting families to plant their way out of extreme poverty”, it is perhaps unsurprising that the designs of Peet Dullaert have an organic and natural feel. 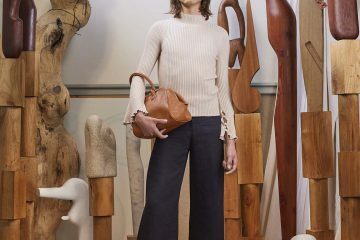 Elegantly cut with frilled sleeves, pleats and delicate piping, the designs are ethereal interpretations of everyday wear, and often incorporate natural elements. 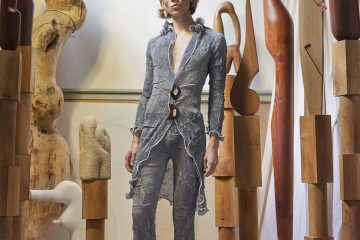 In the diaphanous Spring/Summer 2018 collection, Dullaert has drawn inspiration from the cyclical nature of life, and the role of the elements in forming and sustaining this process. 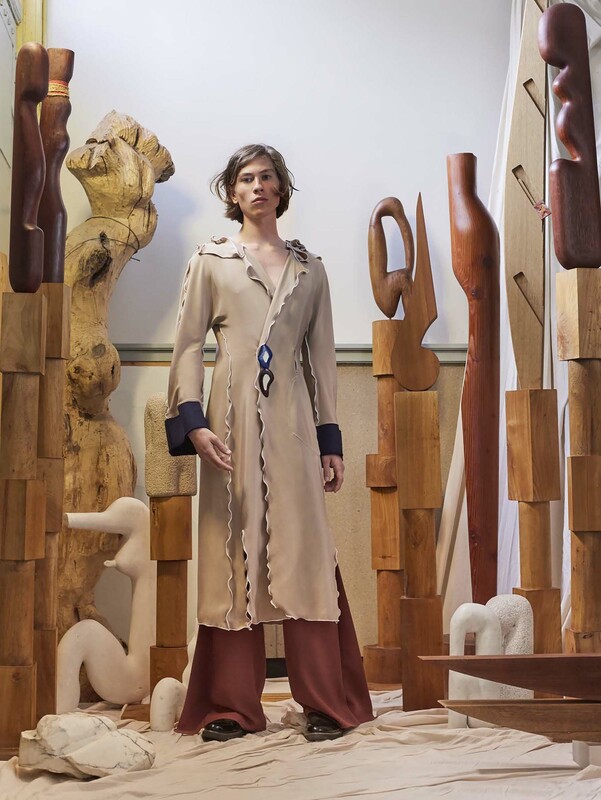 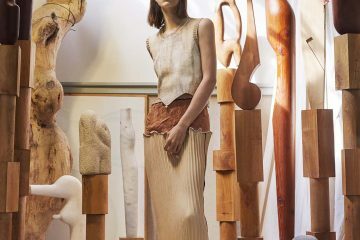 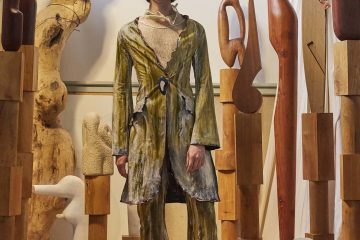 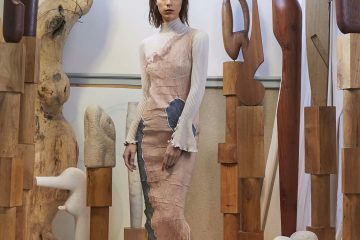 Photographed in the atelier of Romanian artist Miticia Pamfilie, the sculptural forms that the models stand surrounded by are not unlike the cut and construction of Dullaert’s own designs.